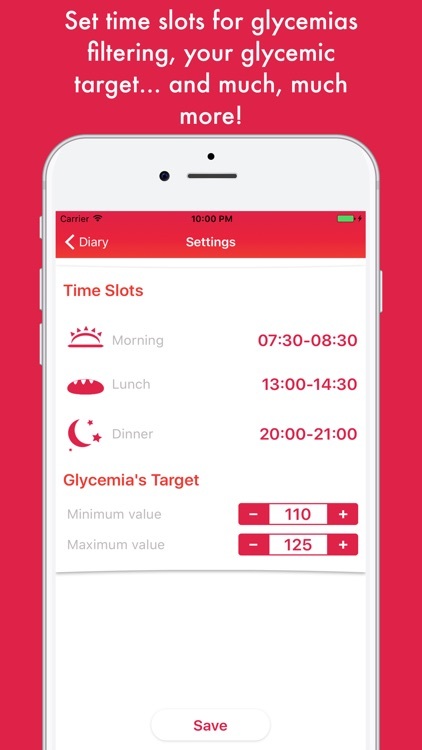 Change the management of your diabetes with glycemic Diary, the app for every person with diabetes: add, edit, or delete your measurements: everything is automatically sorted day by day, from the most recent to the oldest. 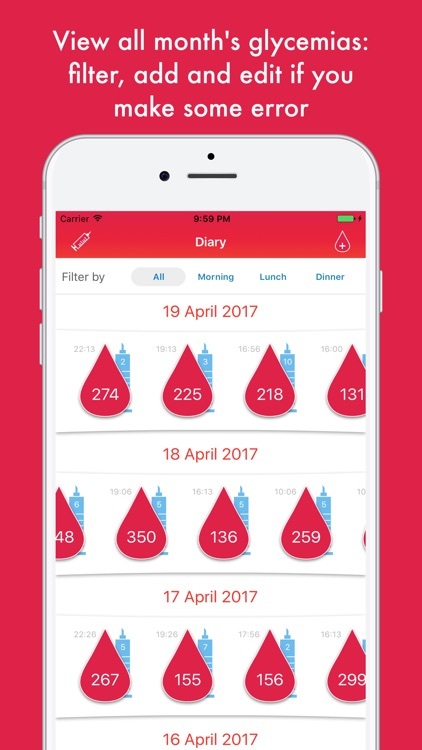 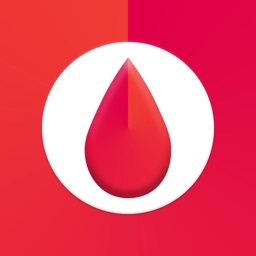 Developed by people with the same disease, glycemic diary was created to manage their diabetes with a powerful and reliable tool: displays all the glycemias of the month, and find them back in the archives of the past months. 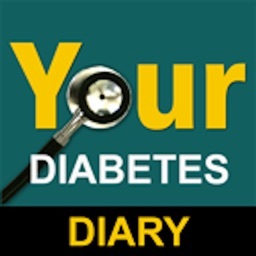 Create your glycemic diary, no longer need to write down all the measurements on paper: it is possible to export all the measurements in PDF format, which can be shared directly from the app ready to be sent to the email of your diabetes specialist, or printed for future reference together with your Diabetologist. 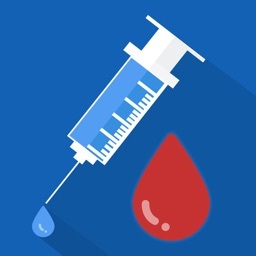 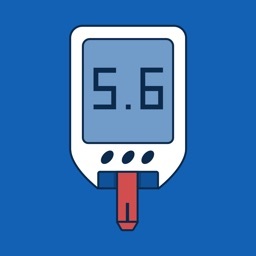 View detailed statistics about your measurements: through the Statistics section, you can immediately check the number of measurements or your average blood glucose. 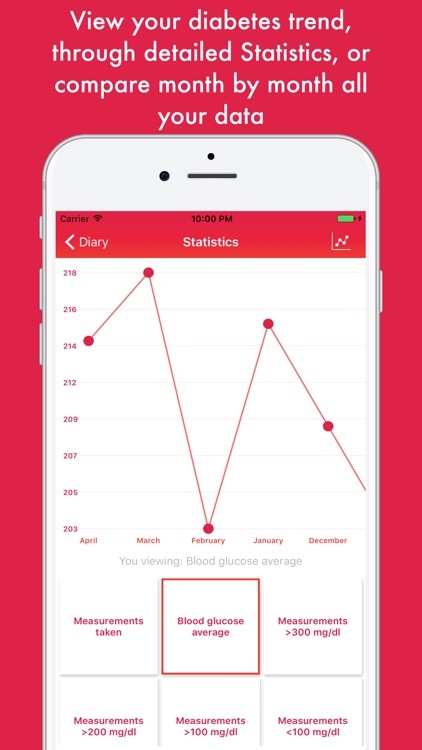 If you also want to see the progress on a monthly scale, you can switch to graphical views with a simple tap. 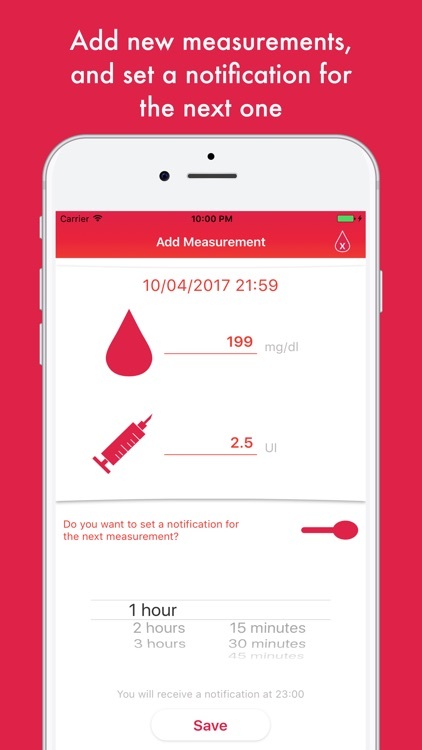 Set notifications for the next measurements, set the time slots and much more! 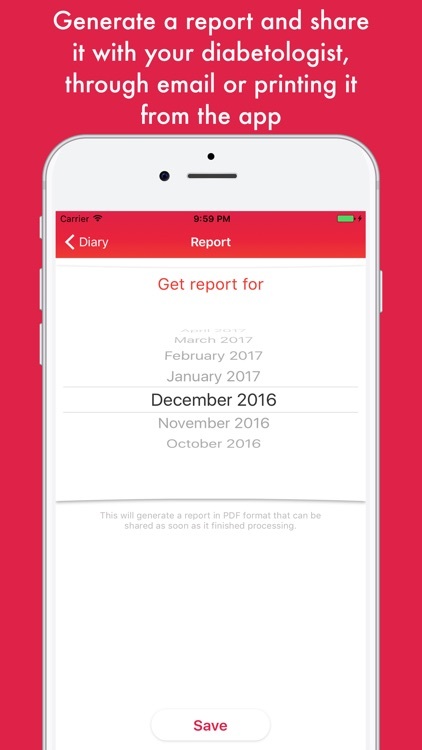 Get Glicemic Diary today and stop writing or using any other sort of data comparison.